Teresa Dunbar is a certified care manager and gerontologist, with over 20 years experience working with older adults. Prior to joining the team at Golden Pond, Teresa provided care management services, provided consulting services to churches, managed social service departments in rehabilitation and nursing centers, and provided social services in adult day care. Her care management experience includes working for care management and home health agencies. In addition to professionally assisting older adults and their loved ones with health care decisions and planning, Teresa has first-hand knowledge and understanding of the challenges of aging with her own parents. 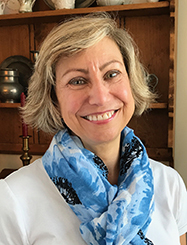 Teresa obtained her undergraduate degree in psychology from the University of Richmond and her master’s degree in gerontology from Virginia Commonwealth University. She has a passion for advocating for older adults and ensuring they receive the services they need to foster maximum independence and safety, and enjoys addressing the unique circumstances of each client and providing the guidance needed.